Editor's note: Javier Hruza and his mom, Eleesha Hruza, are in Washington, D.C. this week. 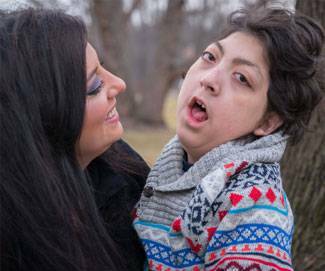 By sharing their family's story on Capitol Hill, they'll help legislators understand the important role of specialty care children's hospitals in keeping kids, like Javier, healthy and happy. Javier Hruza can’t wait to spend his summer in the wilds of Alaska where he hopes to catch another big fish. The 11-year-old’s future is filled with plans following major spine surgery last year. 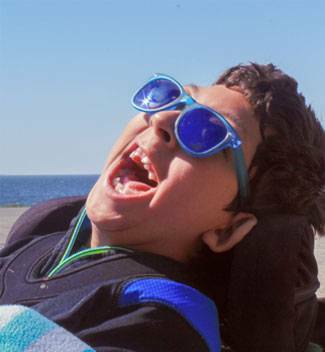 A Gillette patient since age 2, Javier sees more than a dozen specialists for management of spastic quadriplegia cerebral palsy—the most severe form of the condition. He also has epilepsy, dysautonomia (problems with his autonomic nervous system) and neuromuscular scoliosis. Until recently, the curve in Javier’s spine was nearing 90-degrees. It was compromising his breathing, c rushing his organs and causing him pain. His mom, Eleesha Hruza, feared that summers in Alaska might end. That’s when Javier’s spine surgeon suggested new technology called Magnetically driven Growing Rods—metal rods that straighten the spine without the need for frequent invasive surgeries. Javier’s surgeon implanted the rods in January 2015. “The change was almost immediate,” says Hruza. “We decreased his curve by more than 50 percent. It alleviated his pain and helped with other issues as well.” Routine adjustments take less than 30 minutes—and best of all, they’re pain-free. Because of Javier’s spinal surgery, he continues to spend summers in Alaska where he enjoys fishing, hiking and boating on the ocean. Javier’s exuberant personality has returned as well.